At once, everything fell into place. An iron necessity and a strict hierarchical order harnessed the flow of centuries. The ape stood up on its hind legs and began its triumphant procession toward Communism. The system of primitive communism arose because it was fated to grow into slavery; slavery, to give birth to feudalism; feudalism, to capitalism; and finally, capitalism, to give way to communism. That is all! The magnificent aim is achieved, the pyramid is crowned, history is at an end. Orthodoxy, if understood as a closed system, is an approximation of death. There had been nothing “orthodox” about Trotsky’s vibrantly dialectical Marxism, nor had this been a quality of the “Fidelista” romantics who had made the Cuban Revolution in 1959. And it was absolutely alien to the fabulous cultural and intellectual convergence that one found in Michael Löwy’s writings, where Lenin and Leon Trotsky were rubbing shoulders with Rosa Luxemburg and Che Guevara, mingling with Georg Lukács and Ernst Bloch, not to mention Antonio Gramsci, José Carlos Mariátegui, Walter Benjamin ... and innumerable unorthodox others. With a grand philosophical sweep that comprehends reality as an evolving and dynamic interplay of matter and energy, Marxism projects reality as a vibrant totality in which amazing qualities of humanity (creative labour, community, the quest for freedom) have generated technological advances, economic surpluses, and consequent inequalities that -- in turn -- generate struggles against oppression. This way of seeing history perceived a succession of economic systems nurturing different social structures and cultures. Since the rise of civilization, all the social-economic systems (whether ancient slave civilisations or feudalism or capitalism) have involved powerful minorities enriched by the exploitation of labouring majorities. But sometimes the oppressed labourers fight back and demand a better life -- more food, genuine community, freedom -- with their exploiters striving to keep them in their place. Marxists naturally see this working class as being the key to creating a socialist future. The working-class majority must organise to make it so: build large, inclusive trade unions for better wages and working conditions; build powerful social movements to bring changes for the better (reforms); build political power of the working-class majority “to win the battle of democracy” and bring about a transition from capitalism to socialism (which they saw as the extension of “rule by the people” -- democracy -- over society’s economic life, providing for the dignity and free development of all). Of course, this way of seeing things, of organising our perceptions of infinitely complex realities, provides a coherence that nonetheless cannot possibly capture the dynamism of all realities. “Theory, my friend, is grey, but evergreen is the Tree of Life”, Lenin had insisted (quoting Goethe). A Marxism that loses this understanding becomes cold and lifeless dogma. He’ll want and want and there’ll be no end to his wanting”. Leon Trotsky’s theory of permanent revolution was the target of the SWP leadership’s trashing operation, in 1981, as it sought to transform itself into “a sister party” of the Cuban Communist Party. Fidel Castro and many of his comrades had concluded that survival, in the face of US imperialism, dictated a merger into the world Communist movement, headed by the USSR that had been forged under the dictatorship of Joseph Stalin. To be a proper “sister party” would require a break from the key theoretical perspective of Stalin’s arch-critic. Smuggled into SWP chieftain Jack Barnes’s polemic against permanent revolution, “Their Trotsky and Ours”, were slightly reworded Stalinist theorisations, as rigid and authoritarian as ever. But the SWP’s increasingly anti-democratic version of “democratic centralism” prevented us from openly challenging this even within the confines of our own party. Little wonder that the book captivating us in 1981 was Löwy’s defence of Trotsky’s theory of permanent revolution -- The Politics of Combined and Uneven Development: The Theory of Permanent Revolution. It was written independently of the SWP’s break from the politics of the Fourth International, but for us it stood as a glowing affirmation of all that Jack Barnes was rejecting. Even the title framed things in an open and liberating manner. The complex, uneven, swirling patterns of global history created the living context within which the people who constituted the working class and variously oppressed majorities might come together. The essence of the theory was: (1) that in economically backward Russia (where Trotsky developed the theory) only the working class could lead to victory struggles for genuine democracy, which would necessarily bring to power the working class and its allies; (2) that this would open a transitional period leading in the direction of socialism; and (3) that this would necessarily help generate similar revolutionary struggles in other countries -- which would be required for the actual realization of socialism in any and all of the countries. Or so it seemed to him, and to many others, in the early 1980s. Three decades after its articulation, what Löwy presented in The Politics of Combined and Uneven Development requires serious re-examination, as will be further indicated below. Here it is sufficient to emphasise the exuberantly unorthodox quality that infuses his defence of Trotsky’s Marxism. Those of us engaging with Michael’s book on permanent revolution were often inclined to search out and engage with his other writings, particularly English translations appearing in such journals as New Left Review, Telos and Critique. In this period I had the good fortune not only to do this, but also to befriend Michael and to become editor of the “Revolutionary Studies” series for the now-defunct Humanities Press, whose outstanding publisher at that time was Keith Ashfield. One of the first volumes of the series was a collection of 14 essays that I persuaded Michael to pull together, to which he gave the title On Changing the World -- which has now been republished, in an expanded edition (four additional essays), by Haymarket Books. Eight of the essays focus on central aspects of the revolutionary Marxist tradition. “Workers of all countries unite!” was the most famous slogan of the Communist Manifesto -- but how does one harmonise this elemental internationalism with the complex realities of nation-states, ethnicity and nationalism in the modern world? The way that a variety of Marxists wrestled with this is the focal point of the seminal discussion of “Marxists and the National Question”. Yet another seminal essay is “From the ‘Logic’ of Hegel to the Finland Station in Petrograd”. Here we see the shock of the Socialist International’s moral and political collapse of the face of the First World War forcing Lenin to rethink his Marxism -- through an engagement with Hegelian dialectics -- helping reconceptualise revolutionary possibilities in 1917. Dovetailing with this are two other essays -- “The First Revolution of the Twentieth Century” (reviewing an outstanding study of early 20th-century Russia, The Roots of Otherness, by historian-sociologist Teodor Shanin) and “The Marxism of Results and Prospects” (concisely covering ground explored in The Politics of Combined and Uneven Development). Both deal with the nature of the Russian Revolution, reflecting uneven and combined development and permanent revolution. In the first of these, Löwy appreciatively describes what some Marxists might see as Shanin’s “heretical” discussion of the peasantry as an anti-capitalist and truly revolutionary force, and even Trotsky (far more than Lenin) comes in for criticism here. To some extent also fitting into the “mainstream” category are the essays “Gramsci and Lukács” and “Revolutionary Dialectics against ‘Tailism’: Lukács’s Answer to Criticisms of History and Class Consciousness”. Both Antonio Gramsci and Georg Lukács are considered foundational figures in what has become known as “Western Marxism”, often portrayed as a philosophically and culturally oriented Marxism divorced from practical politics, particularly the Communist and working-class movements. As Löwy correctly emphasises, however, while each was steeped in Hegelian philosophy, both were Hegelian Leninists, in the leadership of the Communist parties of Italy and Hungary respectively, immersed in the development of working-class struggle. Focusing especially on Gramsci’s Prison Notebooks and on Lukács’s History and Class Consciousness (and secondarily on the recently discovered Tailism and the Dialectic), he argues that both have much in common. While his political respect tilts more towards Gramsci, he shows that both are well worth reading for those interested in changing the world. The remaining 10 essays in this volume constitute what the author alludes to as “small mountain roads” -- byways less travelled within the Marxist tradition. These include presumably “reactionary” romanticism, utopianism, religion and a rejection of progress. Here we find multiple references to figures in the heretical margins of those identifying with Marxism: Ernst Bloch, Herbert Marcuse, Lucien Goldmann, most especially Walter Benjamin, as well as such decidedly non-Marxist figures as Max Weber and Hannah Arendt (intimate critics of Marxism whose insights may open new pathways of Marxist thought). Löwy’s Marxism involves not simply eloquent reaffirmation, but also insistence on critical renewal -- pushing against certitudes, against traditional understandings, to find new ways of understanding the basics of Marxism and to apply those revitalised basics in ways enabling us to engage with more of the complexities that swirl around and within us. The approach reflected in these essays -- which would be anathema to many partisans of “orthodoxy” -- was firmly grounded in a mature commitment to the revolutionary Marxist tradition. This grounding helped ensure the coherence of the analytical and political orientation that would be enriched by the openness advocated and practiced in the essays. Such coherence is by no means an easy thing to achieve and sustain -- especially given the truth of Lenin’s Goethe quote, that the realities of life are so much more vast and complex than even the most sophisticated theorisations. Yet without the coherence of such a theoretical-political framework, opening the door wide to such diverse and often divergent elements can result not in comprehension or creativity, but rather in chaos. This early work, along with the later Politics of Combined and Uneven Development, provided the theoretical-political framework that ensured a definite coherence in the creative efforts of this author-activist. It should be emphasised that this reflected the theoretical and practical-political orientation not simply of this individual, but of the global political current in which he played an active and prominent role, the international collection of parties and groups associated with the revolutionary Marxism represented by Leon Trotsky, the Fourth International. This is hardly the place to review the history and fortunes of the Fourth International, although its own coherence is now certainly less than was once the case. As with the rest of the international revolutionary left, the comrades of the Fourth International are engaged in searching process of critical evaluation and self-evaluation as we seek to learn the lessons of recent decades while preparing for the revolutionary challenges facing us in the period we are now entering. And as part of this process, it makes sense to critically evaluate the contributions of Michael Löwy whose work -- along with that of the late Ernest Mandel, George Breitman and a handful of others -- represents what might be called “the best of Fourth International Marxism”. Especially given his intellectual integrity, Michael’s self-evaluation is worth consulting. On the one hand, the outlook presented in his 1970 work on Marx’s theory of revolution, he writes, “remains the best compass to find one’s way in the present confused historical panorama”. In regard to the 1981 book on permanent revolution, on the other hand, he comments: “I feel that much of it has become outdated.” Specifically, he notes, “most of the societies that I characterized as ‘post-capitalist’ have simply restored capitalism, without much resistance from the exploited classes”. The consequent decision to remove all of part II of the original volume from the 2010 reprint of The Politics of Combined and Uneven Development -- more than 80 pages -- results in the book having far less coherence than seemed to be the case in 1981. Perhaps a deeper challenge to the coherence of Löwy’s book, however, can be found in the inclination (by Löwy, but also within his Fourth International in general) to see the “democratic” component of permanent revolution as being realised when a Communist Party (the Chinese, the Vietnamese, etc.) took control of the country, and basically to see such a one-party dictatorship, ruling in the name of the working class, as a “stand-in” for the working class actually coming to power. As Löwy’s self-criticism indicates, this damaging substitution -- inconsistent with the best aspects of his general approach -- failed to produce the durable results posited by his 1981 study. This does not negate the “permanentist” dynamic that he pointed to in his discussions of the revolutions in China, Vietnam, etc. But their overall meaning seems to have added up to something significantly different than what he and his Fourth International co-thinkers (among whom I must include myself) had projected. This historical lesson, which corresponds to the stronger elements one can find in Löwy’s work, can actually find its way into a reformulation of his perspective in which, if anything, its coherence will be strengthened. There are, however, two new works of scholarship that challenge other significant aspects of The Politics of Combined and Uneven Development, which must be considered as we conclude our reflections on Löwy’s achievement. One challenge is to be found in an outstanding collection of documents, Witnesses to Permanent Revolution, edited with a capable introduction by Richard B. Day and Daniel Gaido. What they document is that Leon Trotsky, while certainly the most famous and brilliant proponent of permanent revolution, it very much emerged in a collective context. The collection provides seven essays by Karl Kautsky, five by the young Trotsky, two by Trotsky’s mentor and collaborator Parvus (Alexander Helphand), three by Rosa Luxemburg, two by David Ryazanov and one by Franz Mehring—none of which easily fits into the alleged “economistic and vulgar-evolutionist interpretation of Marxism”. In various works (his introduction to a later edition of 1905, comments in The New Course, his autobiography), Trotsky commented that his “permanent revolution” conception overlapped with perspectives of Parvus, Luxemburg, Mehring, and Kautsky—and also Lenin. In The Politics of Uneven and Combined Development, Löwy characterised this as an effort to “minimize the originality of his conception” in order to “play down the supposedly ‘heretical’ nature of the theory of permanent revolution”. Witnesses to Permanent Revolution suggests that Trotsky’s comments were grounded not in political expediency but intellectual honesty. This also suggests a point Löwy himself emphasises: the revolutionary conceptualisations inherent in the analyses and methodology of Marx himself. Theorists and activists seeking to apply such Marxism to the world around them will naturally come up with formulations going in a “permanentist” direction. One might argue that the later degeneration of the Second International caused Löwy to make assumptions about its adherents’ earlier Marxism that are not fully justified. At the same time, there is a difference between “going in a permanentist direction” and developing a full scale conceptualisation as Trotsky did in the wake of Russia’s 1905 revolutionary upsurge. And here it is important to join with Löwy in refusing to blur the distinctive contribution offered by Trotsky. The other work of scholarship posing a challenge to The Politics of Combined and Uneven Development is the massive and meticulous study How Revolutionary Were the Bourgeois Revolutions? by Neil Davidson. 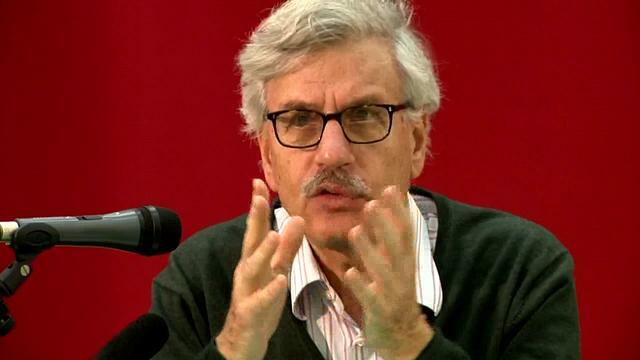 In this volume and in a presentation at the International Socialist Organizations's “Socialism 2013” conference in Chicago, Davidson argues that Trotsky’s theory of permanent revolution is of historical interest only, that especially since the age of “bourgeois revolutions” (not adequately understood by most Marxists, he contends) is now passed, the theory itself is irrelevant. This is well worth considering especially given the high quality of Davidson’s work. One might go further: permanent revolution has application in the capitalist heartland, not simply in the periphery. Struggles for genuine democracy, struggles to end militarism and imperialist wars, struggles to defend the environment from the devastation generated by the capital accumulation process, struggles simply to preserve the quality of life for a majority of the people, cannot be secured without the working class coming to power and overturning capitalism. Such struggles in the here-and-now also have a “permanentist” dynamic. Nor can the revolutionary resolution be secured without the spread of such revolutions to other lands. To refer to permanent revolution in the context of the United States or any other advanced capitalist country is ... to deprive it of any specificity, since there is virtually no country in the world where some precapitalist social form or predemocratic political institutions cannot be found. While acknowledging this, Löwy (making specific reference to a consistent defence of the environment necessarily spilling over into a transition to socialism) commented: “This is not ‘permanent revolution’ as Trotsky formulated it, but it is a sort of analogous argument”. Rather than arguing that permanent revolution is irrelevant, then, one could argue that the dynamics underlying Trotsky’s theory are more generally relevant today than ever before. Rule by the people (and all related democratic demands) can only be consistently fought for, and ultimately won, by the working class majority, which must take political power to make it so. The implications of working-class political power necessarily go in the direction of a socialist transition. This struggle must cross borders if it is not to be defeated, and it must triumph worldwide if socialism is to become a reality. And for any of this to be possible, revolutionary activists must be animated by the creative, critical-minded, outward-reaching, life-affirming approach infusing the essays in On Changing the World. Some of the background on this is offered in Paul Le Blanc, “USA: Revolutionary Redemption, lessons for activists -- On the history of the Socialist Workers Party”and Paul Le Blanc, “The US SWP in the 1960s - Two reviews”. Sinyavsky writing as Abram Tertz, ‘On Socialist Realism”, in The Trial Begins and On Socialist Realism (Berkeley and Los Angeles: University of California Press, 1982), 155. In the four paragraphs that follow, I draw on a summary developed in Paul Le Blanc and Michael Yates, A Freedom Budget for All Americans: Recapturing the Promise of the Civil Rights Movement in the Struggle for Economic Justice Today (New York” Monthly Review Press, 2013), 48-49. Biographical information on Marx and Engels, with useful examination of their historical context, can be found in David Riazanov, Karl Marx and Frederick Engels, An Introduction ot Their Lives and Work (New York: Monthly Review Press, 1973), available on-line at http://www.marxists.org/archive/ria..., and Mary Gabriel, Love and Capital: Karl and Jenny Marx and the Birth of a Revolution (New York: Little, Brown and Co., 2011) -- both classics, one from 1927, the other a much more recent and incredibly rich contribution. For discussions of Marxism consistent with what is presented here, see: Phil Gasper, Karl Marx and Frederick Engels, The Communist Manifesto: A Roadmap to History’s Most Important Political Document (Chicago: Haymarket Books, 2005); Paul Le Blanc, From Marx to Gramsci (Amherst, NY: Humanity Books, 1996); August Nimtz, Marx and Engels: Their Contribution to the Democratic Breakthrough (Albany, NY: State University of New York Press, 2000); and Terry Eagleton, Why Marx Was Right (New Haven, CT: Yale University Press, 2011). Michael Löwy, The Politics of Combined and Uneven Development: The Theory of Permanent Revolution (London: Verso, 1981), 189. Michael Löwy, On Changing the World: Essays in Political Philosophy, from Karl Marx to Walter Benjamin (Chicago: Haymarket Books, 2013), xiv. Löwy, On Changing the World, 95. Ibid., 1, 6, 11. Löwy’s quote is taken from the Communist Manifesto, more commonly translated into English as “the icy waters of egotistical calculation”. Michael Löwy, The Theory of Revolution in the Young Marx (Chicago: Haymarket Books, 2005), vi. Ibid., vii; “Interview of Michael Löwy by Phil Gasper, 2010”, in Michael Löwy, The Politics of Combined and Uneven Development: The Theory of Permanent Revolution, abridged (Chicago: Haymarket Books, 2010), 146. Löwy, The Politics of Combined and Uneven Development (1981), 40. Löwy, The Politics of Combined and Uneven Development (2010), 154. Davidson, How Revolutionary Were the Bourgeois Revolutions?, 304; Löwy, The Politics of Combined and Uneven Development (2010), 154.